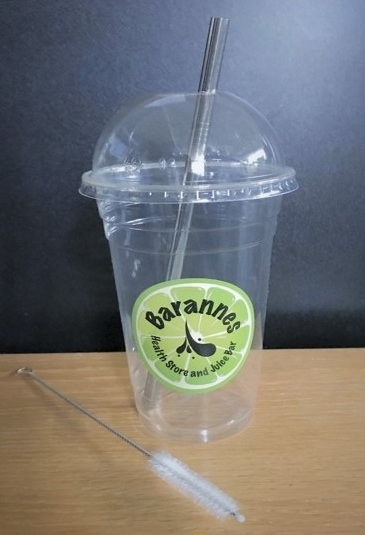 Just like our plant based starch straws these are wide enough for even the thickest of smoothies and unlike disposable paper straws they won’t collapse half way through your drink! Each straw we sell comes with its own cleaning brush so you can make sure it is ready to go each time you have that craving for your favourite juice or smoothie. Sold individually for £2.50 or available free with a completed loyalty card. Keep one in your bag and do your bit to save the environment.